The vehicle finance industry understands risk management. When most of your asset portfolio is your inventory, protecting and managing that inventory is a priority. That’s why so many businesses value the investment they place in a telematics solution, also known as a collateral management system (CMS). A good telematics solution makes it possible to locate, manage and, when necessary, recover your biggest investment—the vehicles that drive your business. The telematics company you work with should offer dependable hardware with a proven track record. Software and data management solutions help you gain value from that hardware. These are best when you can customize both the hardware and the data it gathers from the associated devices. Don’t forget to research the telematics company itself. You’ll want to find a company with an established history, so you know they will be in business to service your contract long after installation. Dependable hardware is the physical foundation of a telematics solution. Your telematics solution begins with the data these devices gather, so you’ll want to make sure they are dependable. These small devices are discretely installed and programmed to alert the owner when the device loses connection to the network. The telematics provider you choose should have experience with all aspects of the device lifecycle. This may include managing the hardware, optimal installation and customizing the data input as necessary. Vehicle telematics solutions provide much more than basic GPS location information. A complete telematics solution, for example, can also provide information on where the vehicle typically parks, like home and work locations. You can even set up geofences, or geographical boundaries, so you’ll know when a vehicle leaves an acceptable area, like when it travels out of the state. Solutions like LenderOutlook™ can also alert you when a vehicle arrives at known impound lots, helping you cut down on storage fees. When you incorporate a crash detection technology like CrashBoxx™ instant crash alerts into the telematics solution, both lenders and borrowers benefit. When the system detects a significant impact, it can send immediate notifications. This system captures important crash information like speed, braking, the direction of impact, and predictive damage reports. All of this data transmits from the vehicle’s device and is stored in a cloud-based repository, so security is important. 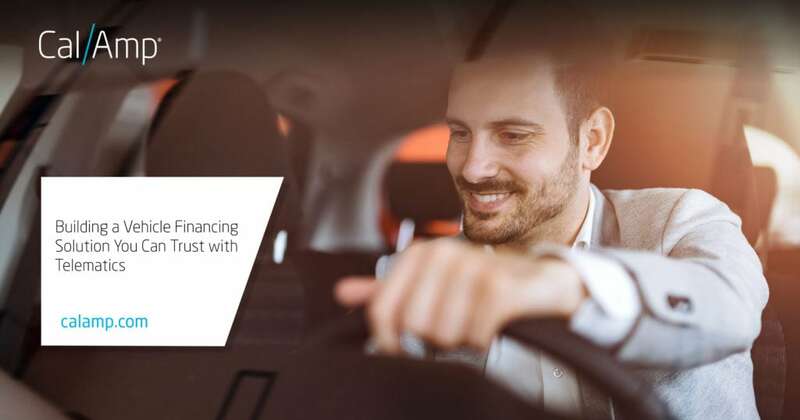 Data connectivity and security is a leading concern when assessing telematics solutions. When you contract with a service provider, you want to know the service is reliable and will not be interrupted. If the company providing your telematics solution goes out of business, it won’t matter that your devices work—if the company isn’t paying their cellular contract, you can’t collect your data. A reputable, publicly traded company is a reliable choice in this regard. Similarly, data security is a constant issue. The company providing the data platform must protect the data using industry-standard best practices at every stage. Data must be secured in use at the device level, in transit to and from storage, and in use at the software or portal level. Companies must proactively work to protect their data. You’ll want to work with a service provider who understands data security and works to maintain yours. A vehicle financing telematics solution adds a level of security to your business assets while providing risk management for your operations. These solutions offer tremendous benefits to both the financing company and to the consumers they serve. It is best to use a careful vetting process to find the best solution with an established service provider who offers dependable equipment and secure, reliable data connections.